I've wanted to read this book for quite a while - I read Rose o' the River by the same author last summer and really enjoyed it, and this one sounded quite interesting, but somehow it has taken me a year to get around to reading it. In the end, being a very short book, it only took an hour or so to read, but I'm glad that I finally got around to it. Kitty Schuyler is (somewhat reluctantly) taken to England by her aunt to tour various cathedrals - a trip which is supposed to be "improving", which Kitty is not especially thrilled about. In the first cathedral, they come across a young man, another American visitor who is making a sketching tour of cathedrals. Finding the itinerary which Kitty and her aunt have mislaid, and having fallen in love with Kitty at first sight, he decides that since both he and they are making the same tour, he may as well go along with them. So follows a series of meetings in various places around the country; romance ensues. The story is told alternately by the two main characters, in diary format. Although they both come off as a bit shallow, they are still likeable, entertaining characters, especially Kitty, who clearly has a love of literature. She makes references to a few classic books, and there is a part of the story where she is given a copy of Persuasion, that was one of my favourite parts (I shall say no more so as not to ruin it, but if you are a fan of Persuasion you must read this book, just for that part). Overall, this was a sweet, light-hearted romance; I could have done with it being a little longer just so that the story could have been told in more detail, but it is definitely well worth a read. 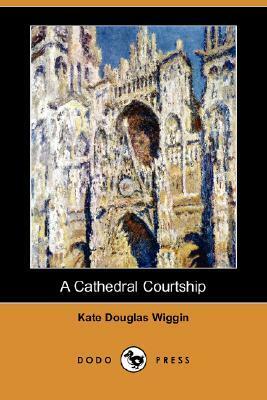 I'll probably wait a lot less than a year before reading another of Kate Douglas Wiggin's books. Note: I read the Kindle version available from Amazon, which not very well formatted (although still readable), so if you want to read this I would recommend downloading from Project Gutenberg (the version without the cover image is better).